Behold, only the juiciest of ground beef patties topped and dressed to perfection for the Motor City. 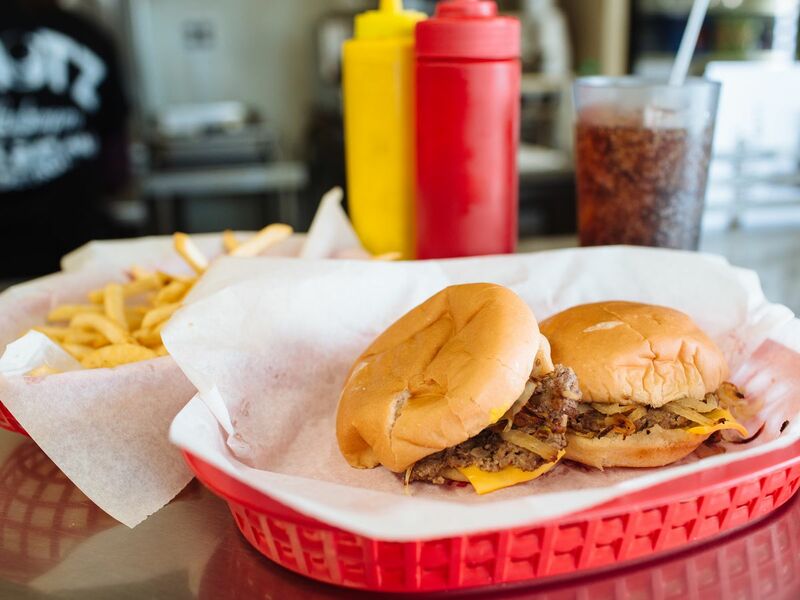 Whether it’s grilled onions, pickles, three different cheeses or all the above, Detroit does not disappoint foodies when it comes to deciding on where to grab a burger. Now that we’ve got your mouth watering, let’s chat about our top five burger joints around Detroit. Checker Bar boasts an extensive burger menu featuring 14 patties including the Double Bacon Cheese Burger featuring ½ pound fresh ground beef, shredded lettuce, tomato, onion, two slices of American cheese, two of slices Swiss cheese and four rashers of bacon. And of course, the shoestring fries are a must! If you’re looking for a notch up on your typical burger stand patty, Grey Ghost is where foodies unite. The Cheeseburger is an eggcellent choice of two patties topped with melted American cheese, chopped lettuce, onion, mayo and their special sauce; oh, and don’t forget to put an egg on it. Our go-to for a nightcap with a late night burger. With seven burgers to choose from, we recommend the BBQ Bacon & Cheddar - house made BBQ sauce, bacon, cheddar and pickled onions on a brioche bun. Here’s where you can explore different tastes! Green Dot Stables serves 22 different sliders all under $3! Not a burger enthusiast? You don’t need to be to indulge in slider solitude. From the Catfish slider to the Korean slider or even the Mystery Meat slider, there’s a taste for all food lovers!